The image is bitten or etched into a metal plate with acid. The plate is covered with an acid-resistant layer known as a ‘ground’ through which the artist draws, revealing the metal. 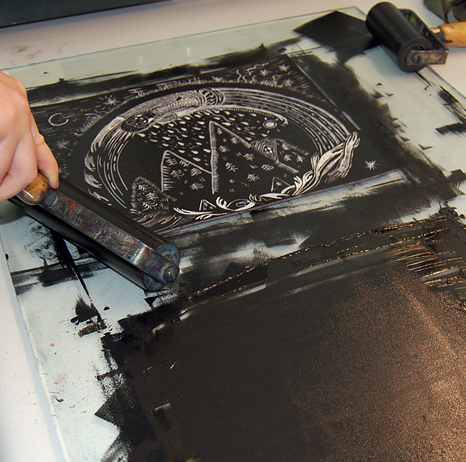 The plate is then immersed in acid which ‘bites’ the drawn marks, leaving hollows which hold the ink. 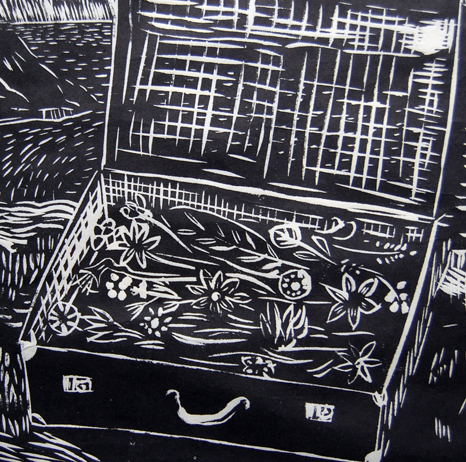 The image is cut away using linoleum as the block. 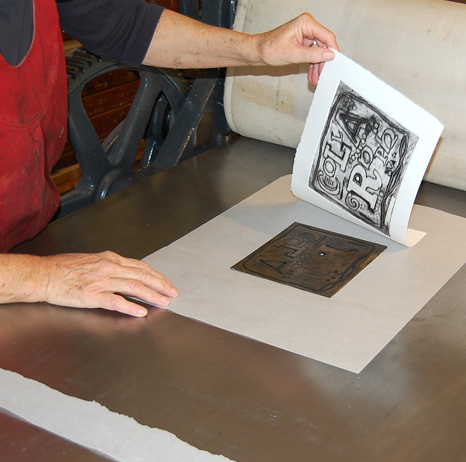 It is then inked, usually with a roller, before being printed, normally through a press. The soft surface is far easier to work with than wood. 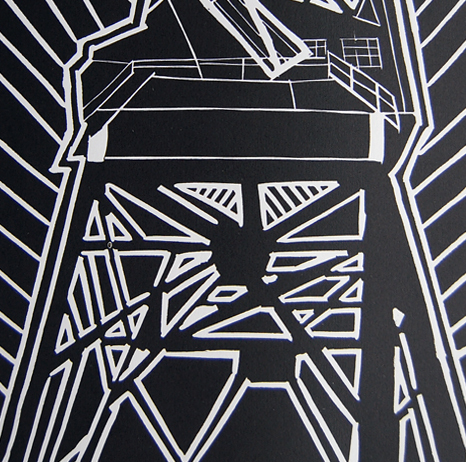 Unlike wood, lino traditionally gives a flatter, more homogenous printing surface. 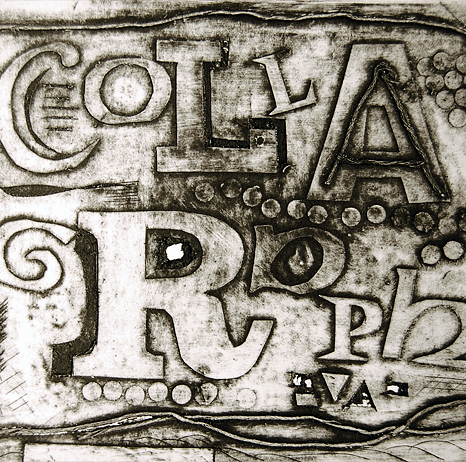 A relief print made from a plank or block of wood sawn along the grain and smoothed. MDF can also be used which is much easier to cut into. 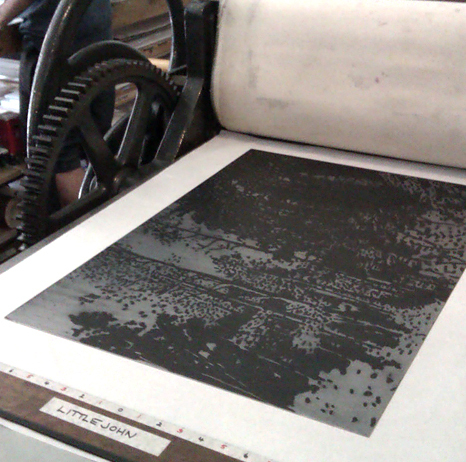 The block is then inked and printed. Often the grain of the wood is evident in the final print. 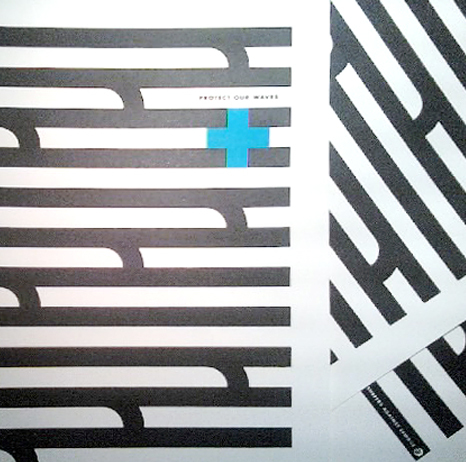 A print made either from a series of stencils, one for each colour, printed over each other, gradually building up the image. 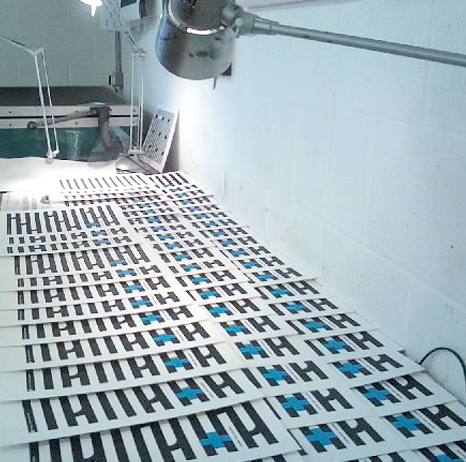 Or a drawn image or photograph can be exposed onto a UV-sensitive coating on the screen and then printed. The plate or block is made from a built-up surface of materials, such as organic matter, paper, card, textured papers etc. as a collage. 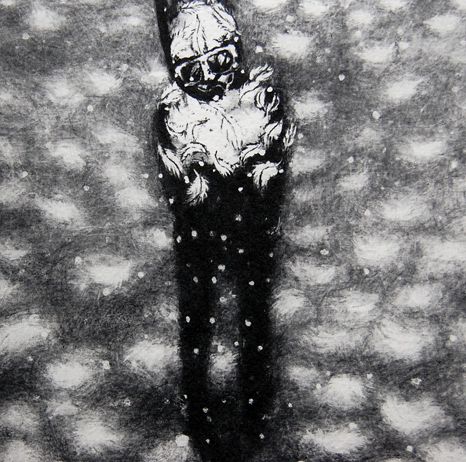 The plate can then be intaglio-inked, inked with a roller or paintbrush or some combination of these. 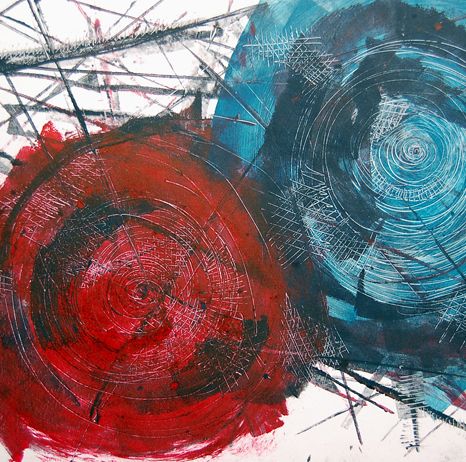 A print made from a wet painting on a non-absorbent surface such as glass, perspex or metal, then printed by hand pressure or more usually passed through a press. 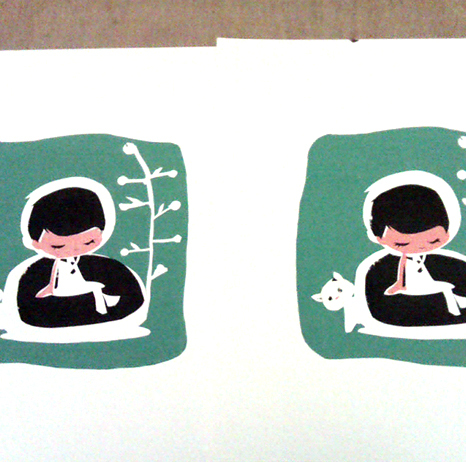 It is often possible to pull a second or ‘ghost’ print from the plate, which can then be re-worked. A photographic or directly drawn image is made as a positive onto acetate. 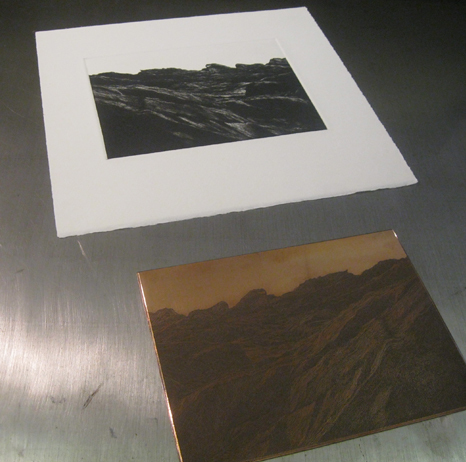 The image is then exposed using a UV lightbox onto a pre-coated or hand-rolled photo-sensitive plate. 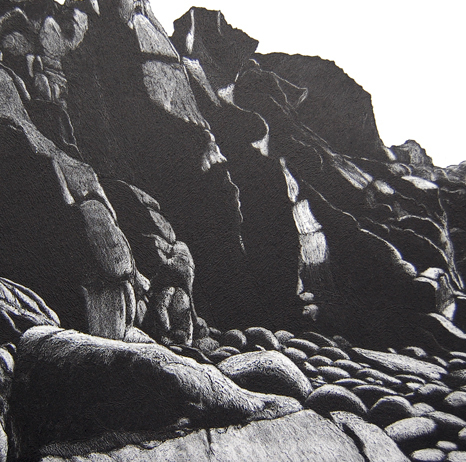 The plate is then developed, dried and printed as a conventional intaglio print. 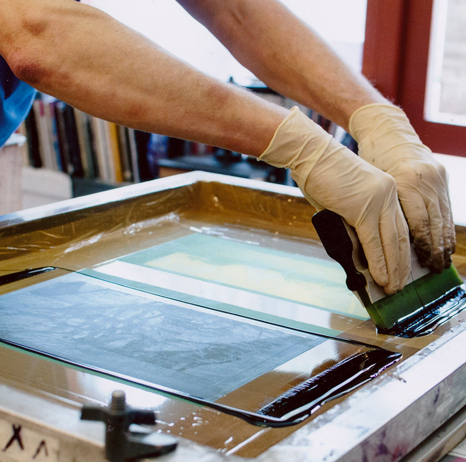 The studio offers an editioning service for etchings, lino and woodcuts and screen prints, allowing for the production of limited editions of hand-pulled prints.